Sage is one of those widely used shrubs that have been used for centuries to heal makes sense with a name like salvia officinalis which means ‘to heal' or ‘save.' 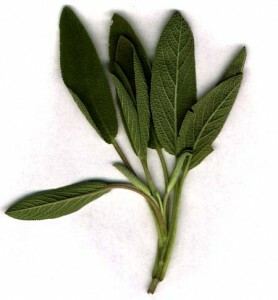 A rich, herbaceous smelling plant, sage has been used by many old cultures such as the Native American Indians as a sacred wonder to cleanse negative energies and purify spirit. Sage has all sorts of medicinal properties. It can be used to treat bacterial illnesses like the flu and fungal problems like Candida; it can be used as an anti-inflammatory, to ease rheumatoid arthritis, dissolve excess cholesterol, regulate circulation, help depression, and aid the elimination of toxins from the body. Commonly used as an essential oil to give cosmetics a natural fragrance sage blends well with geranium, ginger, lavender, rosemary and tea tree oils. 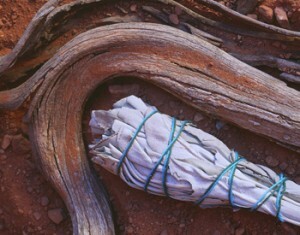 Dried sage can also be used to preserve and flavour food like sausages, cheese and honey. Women who are pregnant should avoid sage or at least use modestly, as should those with epilepsy.